When your alarm is triggered, have it call Attikis to enjoy many great benefits! Attikis instantly initiates contact with you, your family and your important contacts via Phone, SMS and E-mail. You receive simple, clear voice alerts and actionable text messages that are customisable. These alerts will reach you anywhere in the world on most major mobile networks and almost all telephone lines from Australia to Zimbabwe and in between. 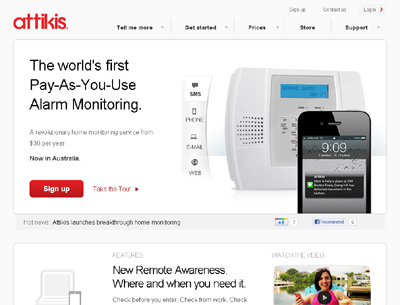 Attikis is a prepaid service that costs just $40 for a whole year of monitoring. That’s 12x cheaper than our dominant competitors – saving you over $300 per year. There’s no contracts, ever. It’s built in the cloud using powerful, scalable and cheap servers and data centres that replace traditional analogue dialler boxers that our competitors use. This makes it better for users, more flexible and faster to respond.